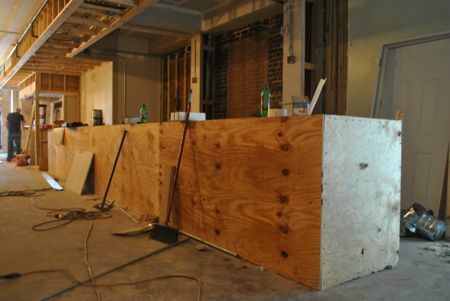 Here’s a quick construction update…things are moving along nicely. The walls are getting closed up this week as tile gets installed. The new storefront / entrance (think big glass) is coming in two weeks and the walk-in cooler and kitchen equipment are set to be installed the week of June 6.